I was the last person I knew to use an iPhone. I had been using film for years, and had grown accustomed to the feel and familiarity of my beloved but ancient Minolta. My husband finally convinced me that I would have a level of spontaneity with an iPhone that my camera did not afford. He sold me on the idea that I could actually capture more moments, more of the wondrous little vignettes of childhood. Of course, I would also be given the instant gratification of seeing my images immediately come to life. Today, I am rarely without my iPhone. It allows me to catch my daughter's childhood as it is unfolding. It allows me to capture the littlest of things, the moments that would otherwise be lost. For me, it is not so much about getting the "best" picture, but more about getting to the heart of the picture. While I do post regularly on Instagram, I take many more pictures than I ever share. They are my treasures. They are my way of revisiting the magical moments that make up our everyday. This image is one that I took on a rare morning when my daughter slept in, and I could soak in the stillness of her sleeping self. It is dear to me because I have so many pictures of her asleep over the years, and I can see the small changes that occur over time...the little, growing hand and hair lightened by hours playing in the spring sunshine. It is a completely ordinary moment. But, an extraordinary one for her mother. 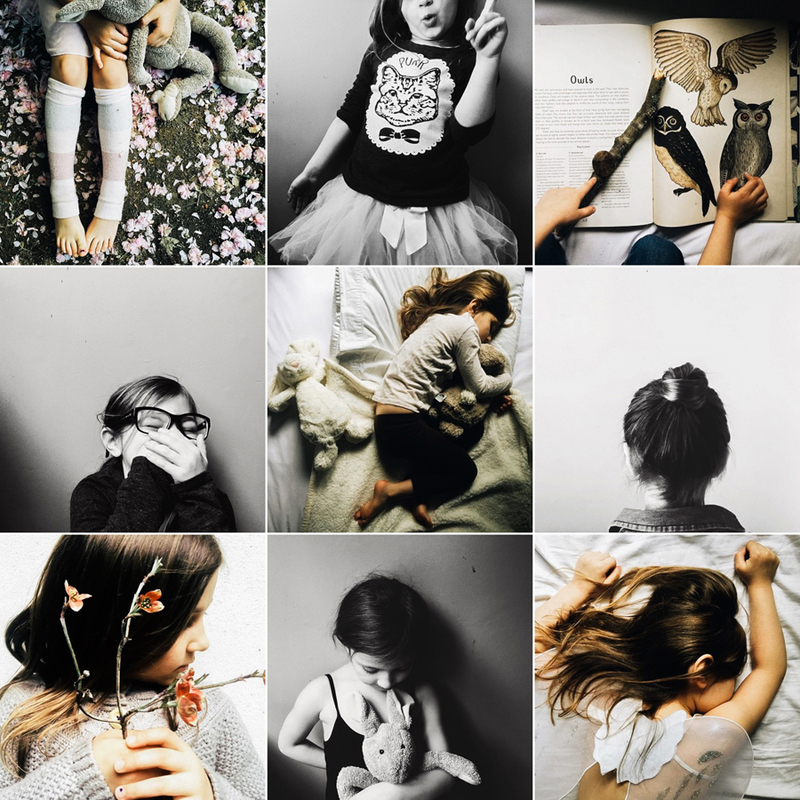 It is my hope to give my daughter the gift of capturing her childhood. It is surely the most fleeting but glorious season of life. I primarily use VSCO to edit my images. I never spend more than one or two minutes on editing. I try to keep it simple. I don't want to overthink the editing process or lose clarity along the way. I try to find natural light in our home and outside. And I simply strive to keep my eye open to what is already before me. While I know that what people see is a picture, I hope they can see my heart. It is my guiding force for taking pictures. I am not a professional photographer. I am a mother with an iPhone, a few editing apps, and a desire to tell my daughter's story. I encourage parents to simply take pictures. Don't wait for extraordinary moments for they are already there. Capture them often. Tell your story. You can see more beautiful iPhone photos by Elizabeth Finch on her instagram feed.